Tobii Pro Spectrum offers a platform that combines high accuracy and peak performance while still allowing people to behave naturally while being studied. 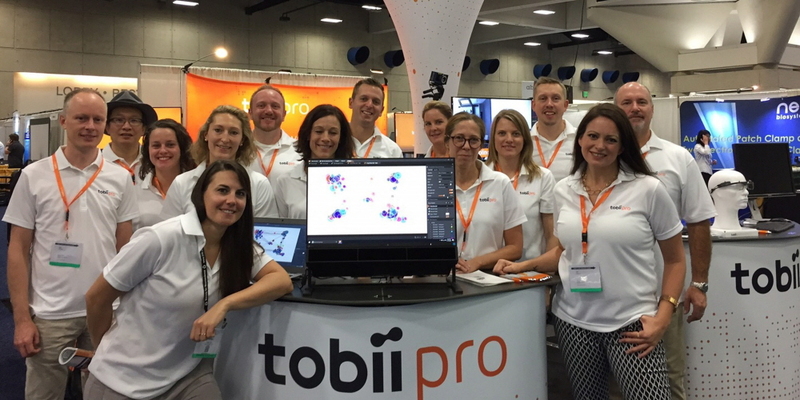 Tobii Pro Lab is our new software platform for behavioral research combining eye tracking data with information from other biometric sensors. See the key characteristics of Pro Spectrum and Pro Lab below, and, for a full description, visit product page. To see an in-depth presentation of these new research tools, sign up for our free webinar. • Increased amount of fine-grained data – Data on eye movements can be collected at speeds up to 600 Hz through two eye tracking cameras, each capturing up to 600 images per second on both eyes. • Participants can move freely – The Pro Spectrum tolerates larger head movements than any other high-frequency screen-based eye tracker on the market. This facilitates studying more natural behavior, as well as research with children or participants with short attention spans. • Sync with other biometric tools – What we see makes us act and react and the full value of physiological measurements such as EEG and GSR starts with knowing where the subjects are looking. A sync-in port ensures that events sent to the eye tracker can be timestamped with millisecond accuracy, making it suitable for research requiring very high precision in timing. • Supports entire workflow of an eye tracking study – Pro Lab includes everything from study design and, recording, to analysis and visualizations of the results, increasing the workflow efficiency for researchers. • More holistic insights into human behavior – Sync-out functionality enables the combination of eye tracking data with other biometric data streams such as EEG (brain activity), GSR (sweat production due to emotions or stress), and ECG (heart activity). • One analysis tool fits all – Pro Lab works for all eye tracking analysis, regardless if data has been collected through screen-based or wearable eye trackers from Tobii Pro. Features include a range of visualizations, Real-World mapping, and behavioral coding.